The best hoop cheese is waiting for you at Salt Lick Sausage! A full wheel of hoop cheese (approx 24 pounds). Comes in round wooden box with lid. 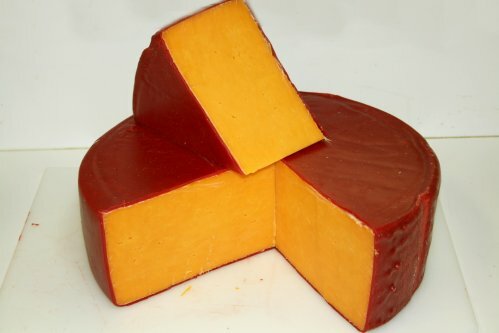 Sold by the pound or the wheel (see pound listing if you prefer to buy by the pound), black rind or red rind.